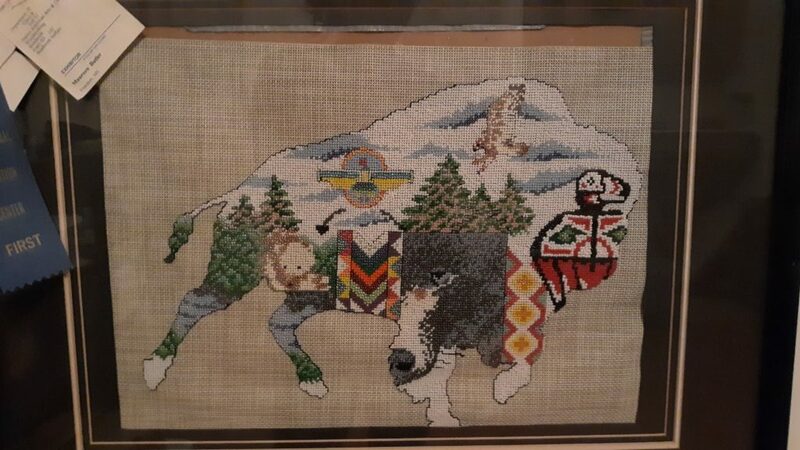 Artist Mauree Mite-Butler, also known as Voice in the Wind creates beautiful beaded tapestries, purses and guitar straps using two techniques, cross stitching and looming. 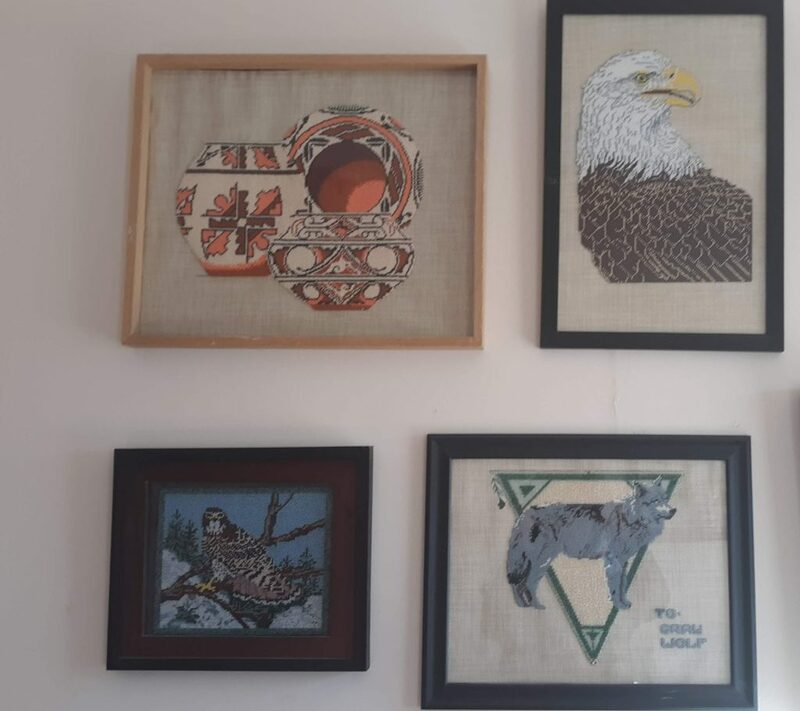 The beaded tapestries are created with a pattern that is woven into designs representing Mauree’s connection to nature, native american artwork and the southwest where she resides. 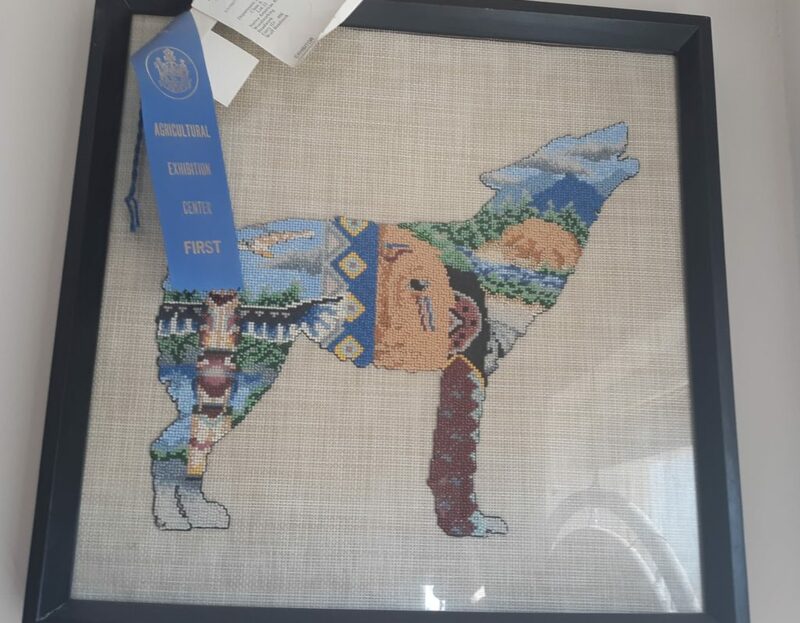 Wolves, buffalo, pottery and people of the region are just a few of the designs she’s created. 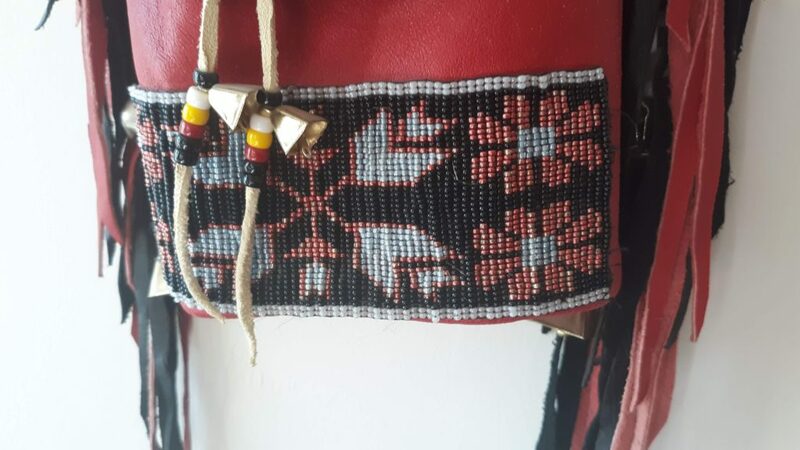 Aside from her intricate beaded artwork, she also creates handbags using leather, fur and other natural materials. The technique of looming comes into play when making the purses, bags and guitar straps. 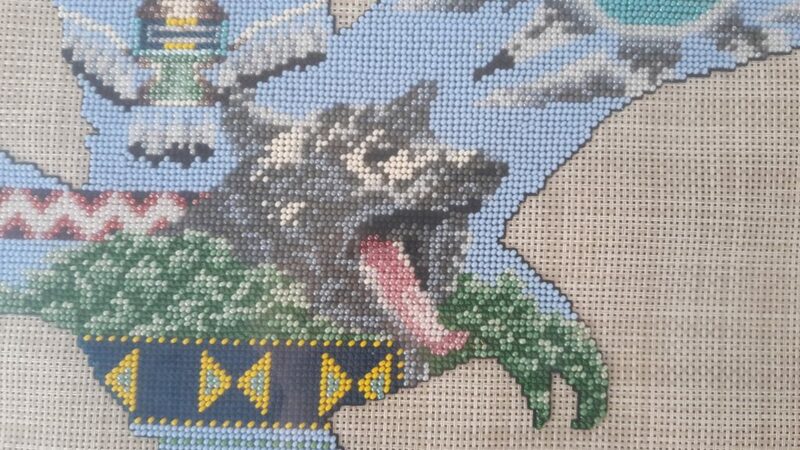 Typically, looming is a rectangular and sequential pattern. 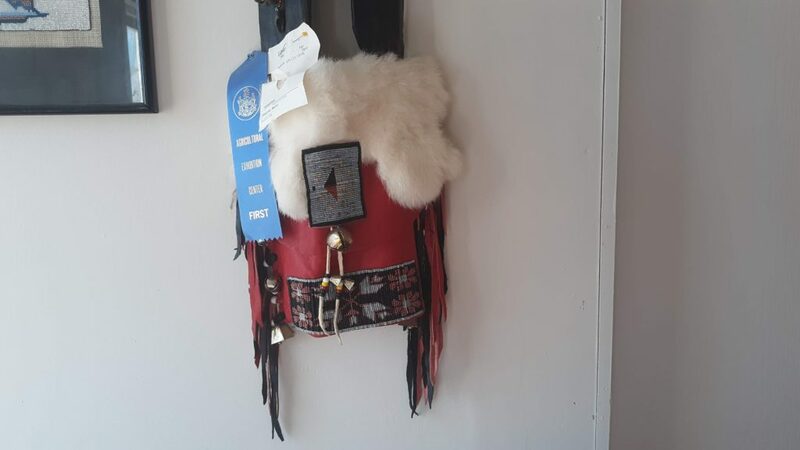 Many of her bag designs have fringe and clasps, all handwoven and handmade. 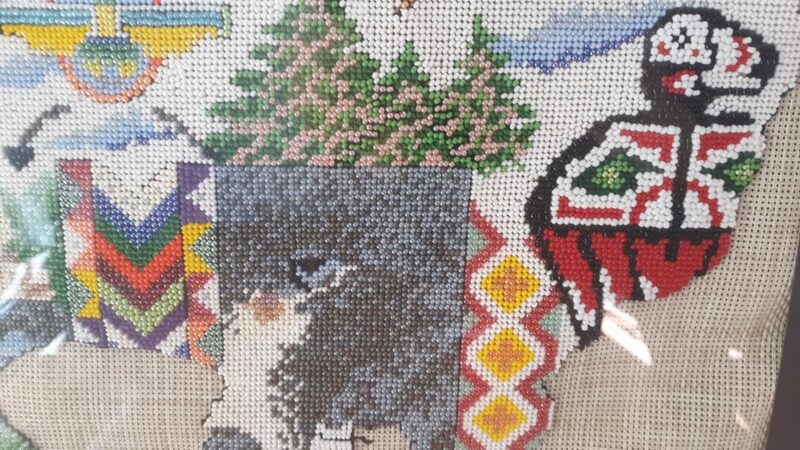 She creates her designs in her home in Moriarty, New Mexico. 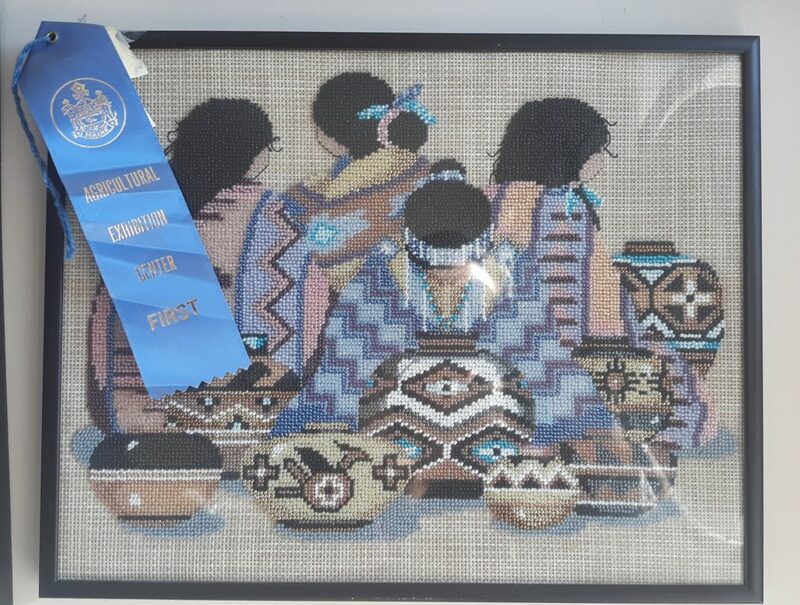 She’s won many first place ribbons in exhibitions throughout the area for both her beaded tapestries and purses.